We hold expertise in offering a wide array of premium quality Screw Conveyor to our esteemed customers. The conveyor offered by us is manufactured from fine quality raw material, which is procured from well known vendors. It is highly appreciated for efficiently distributing various materials to different locations using multiple inlet and discharge points. Our products undergo various quality checks by our team of quality controller, to ensure flawless delivery of our products. 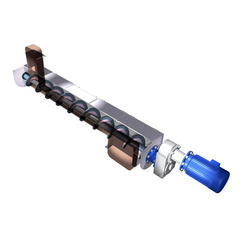 Owing to the vast experience in this field, we have been able to offer a wide range of high quality Shaftless Screw Conveyors to our valuable customers. These products are widely used in various industries for moving different bulk materials from one place to another. The shaft-less design of this equipment make it suitable for handling sticky and sluggish bulk materials. These conveyors are fabricated using high quality raw materials, which is obtained from certified vendors. 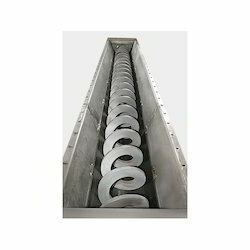 Looking for Industrial Screw Conveyor ?